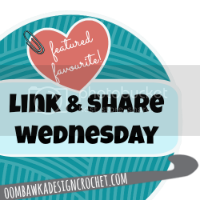 Welcome, Friends, to another #LinkParty at the Go Crochet Crazy blog! This week's theme is "Homemande & Handmade in April". I can't believe another month has come to an end! Let's celebrate it by showcasing some of our newest or most favorite handmade and homemade items from this month. 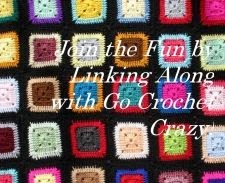 I've been so inspired by the creative projects shared in my new Google+ group, Go Crochet Crazy "All Things Handmade". 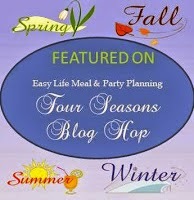 If you haven't joined the group, I invite you to do so. We're sharing anything handmade, not just crochet, but fiber arts, paper crafts, other crafts, food stuffs, DIY, etc. See Howling at the Moon Here! 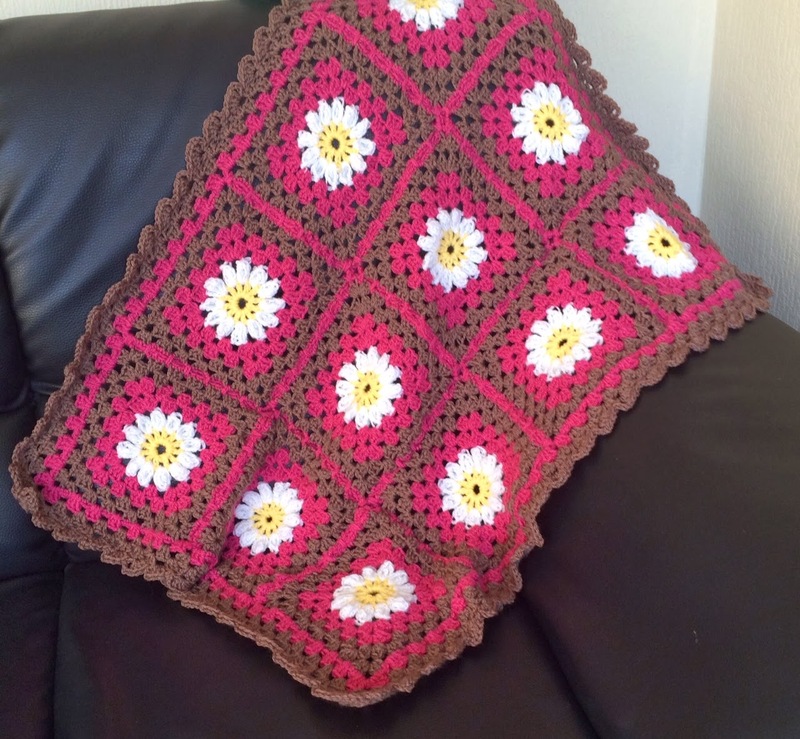 See Shabby Chic Crochet Here! Whenever I finish a large project, I like to follow it up with a few smaller ones. The instant gratification that comes with smaller crochet projects is always a nice change of pace after waiting for weeks or months to finish the large project I'm working on. Recently, I finished three crochet designs for my latest pattern eBook, A Bonnet, a Blanket & a Bag. A lot of work goes into designing patterns and the technical writing of them, so I was ready to whip up a few quick projects after that. I set to work creating a car seat toy and free crochet bird pattern. Then I had leftover crochet motifs, so I turned those into star coasters and a birdie bookmark.And yesterday I finally got on the bandwagon with everyone else and crocheted a mandala and talked a little bit about what a mandala is and it's significance. As you can see, my mandalas will be serving as potholders. If you'd like to try out my mandala design, you can use the free pattern below. 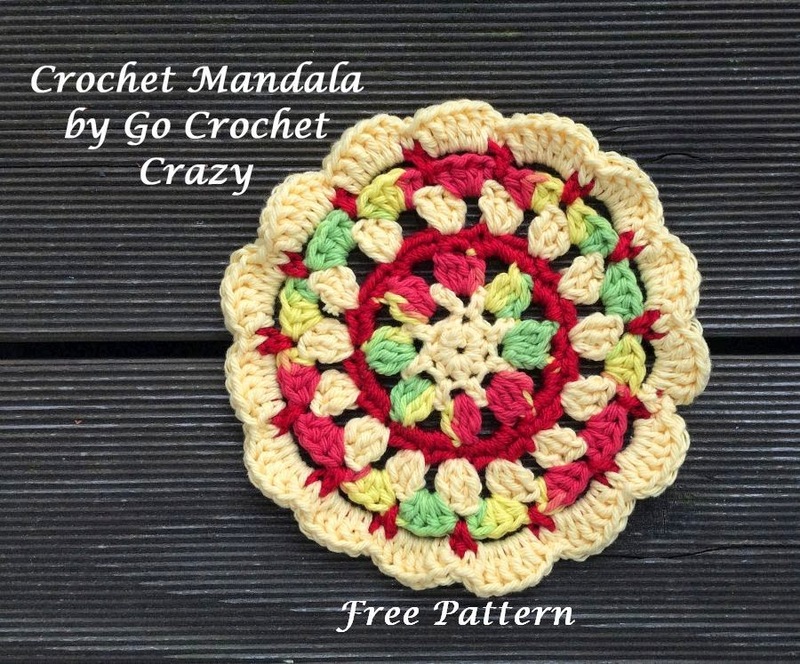 Create a mandala and coaster set for yourself or as a gift by using my free "Think Spring" Cotton Crochet Coaster pattern to go with your mandala. Ch 4 and connect with slipstitch or start with Magic Ring. Round 1: Ch 2 (counts as first HDC). 7 HDC into ring, for a total of 8 stitches. Connect to top of first stitch with a slipstitch. Round 2: Ch 3 (counts as first HDC and first Ch 1). *HDC into next stitch then Ch 1*. Repeat from * to * all the way around. Slipstitch into top of first stitch. Fasten off if you wish to change colors. Slipstitch into the top of the first stitch to complete the round. Round 4: SC 2 times into the stitch at the top a cluster. SC 4 times into each Ch 2 space. Repeat this pattern all the way around. Join at the end of the round with a slipstitch. Round 5: Ch 3 (counts as first DC). DC 2 more times in the same space. *Ch 1, skip two stitches. 3 DC into the next stitch*. Repeat from * to * all the way around. End with a Ch 1, and join the round with a slipstitch. Round 6: Slipstitch to nearest Ch 2 space. Ch 2 (counts as first HDC). HDC 3 more times into the same space. 4 HDC into the next Ch 2 space. Repeat this all the way around and join with a slipstitch. Round 7: Ch 1 (counts as first SC). *Ch 4, SC into the next space between 4HDC clusters*. Repeat from * to * all the way around. Join the last Ch 4 with the second stitch at the beginning. Round 8: Ch 3 (counts as first DC). 5 more DC into Ch 4 space. SC into next stitch in between Ch 4 spaces. *6 DC into next Ch 4 space, followed by a SC in the next stitch*. Repeat from * to * all the way around. Join with a slipstitch into the first stitch of the Ch 3 and fasten off. If you decide to try this or any of my other free patterns, I sure would love to hear about them or...better yet...see pictures! What little projects have you been working on lately? Be sure to stop by tomorrow or over the weekend to link them up to this week's "Finally Friday Link-a-Long"! It seems that crochet mandalas are all the rage these days. I have to admit, the mandalas I've seen are beautiful and have definitely piqued my interest. Up until recently, if you'd asked me anything about mandalas, my answer would have been very short. "Necessity is the mother of invention" they say, and in the case of mandalas, it was also the mother of introduction. I needed an instant gratification crochet project to give me a break from my current blanket project, and my boyfriend M keeps saying that I need to crochet some potholders for our kitchen. Add to that the fact that I've been trying to use up a pretty skein of Bernat Cotton Yarn in Smokey Wine and its sidekick, a Sugar n Cream Cotton in Ecru, from a recent infinity scarf project. Put all these circumstances together, and my first mandala was born. "Mandala" is the Sanskrit word for "circle". In the Hindu and Buddhist religions mandalas have great spiritual significance. Spelled M-A-N-D-A-L-A with all A's, most mandalas are made with bright colors and patterns, but always in the shape of a circle. Since this was a scrapbuster project for me, I opted to use this yarn to help me get rid of some of my stash (so I can justify buying more!). Mandalas are used as potholders (as I'll be using mine), coasters, table centerpieces under a vase or fruit bowl, doilies or wall decor. I bet you can think of a few places where a mandala would be useful or pretty in your home. And here's my mandala practicing for its first official use as a potholder! Now that I've designed my first mandala and like how it's turned out, I know I'll go back and make another in bright, happy colors. As soon as I do, I'll update this post with more pictures. Because this one will serve as a potholder, I wanted to use up some of my cotton yarn stash because I knew it could take the heat without melting like an acrylic yarn might. What do you think? Have you made any mandalas? What do you use your mandalas for? I've embarked on new crochet territory! Isn't it fun to try out new crafty creations? 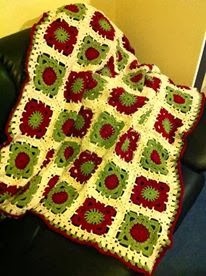 The other day I heard someone talking about the many crochet blankets they'd made during the past year. It got me to thinking about the crochet blankets and afghans I've stitched up, and I realized there were more than I'd remembered. Amidst all the other crochet projects I'd been relishing, I'd also been blanketing my way through time! Each one holds memories of who they were made for, as well as memories of what was happening in life during the time they were made. The feel of the yarn...the joy of watching it all come together...remains fresh even though most of these afghans are no longer with me. There's something special about a crochet afghan. More than a pretty thing to look at or a functional item to keep you warm, a crochet blanket is like a loving hug given from the person who made it to the person who's wrapped up in it. Please feel free to read more about each blanket by clicking the link below each individual picture. 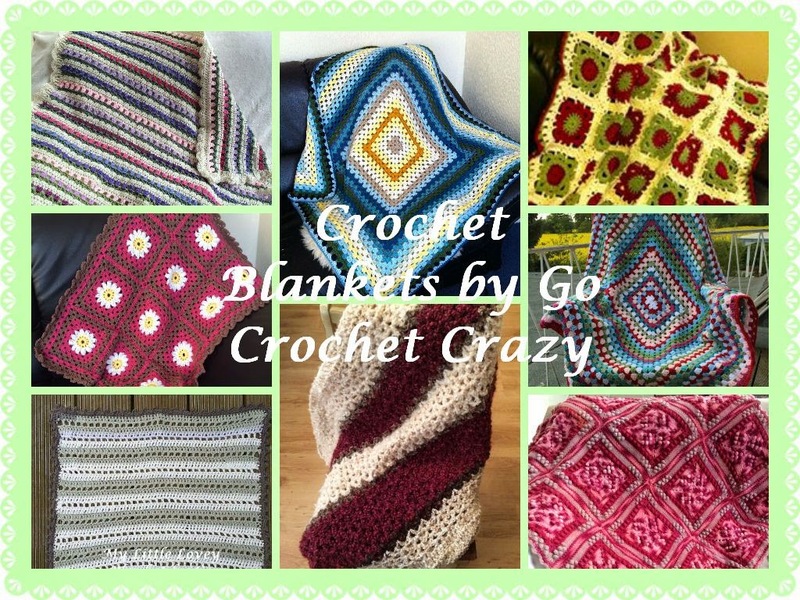 Do you crochet blankets or afghans? Do you have a favorite that you've made or that was made for you? 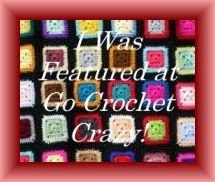 I look forward to hearing about your crochet blanket memories and projects.